Beautiful bright smiles are on display everywhere this time of year. With awards shows in full-force, and people venturing out into the wide open with the onset of spring, all that exposure might have your teen thinking about having their teeth whitened. Or, maybe they've been thinking about it for some time now, and are curious if this is the right time to do it. That's a great question. And, it's great question because the safety of tooth whitening isn't really about the age of your teenager, it's about the maturity of their teeth. If your teen is still in high school, it's likely their teeth are still growing into the teeth they'll have for the rest of their lives. Because of this, there are a few things you'll need to explore before having them take the leap. Knowing When Whitening is O.K. Generally speaking, dentists do not recommend whitening until after the age of sixteen. Again, the reason isn't age per se, but what is going on with the teeth of a teenager that is important. In teens, the tooth is still maturing in two very notable ways. First, the enamel in a teen's mouth has often not reached its full stage of calcification. This means the tooth is more permeable, and can allow the bleaching agent to penetrate deeper into the tooth than is ideal. When this happens, it can often reach the still immature "tooth pulp" where the nerve resides. This is the second factor. As a tooth ages, this area shrinks a bit, but when still young, it covers a larger area of the tooth, and if penetrated by the bleaching agent, can cause unwanted, and lingering pain and sensitivity. Are You Considering Whitening at Home? Over-the-counter kits are also problematic for teens because the bleaching trays can expose the soft tissue to chemicals meant to be on the teeth - not the gums. Also, since the trays are mass-produced, they're often ill-fitting for a teen's mouth and can trigger TMJ issues. Lastly, bleaching at home, or bleaching too early in a teen's life can sometimes lead to an unsightly mismatch of tooth color - the exact opposite of what the procedure is meant to accomplish. This happens when premature whitening re-colors the first series of secondary teeth while the late comers arrive with a natural tooth color. What makes this worse, is that attempts to correct the disparity after the fact might not work, and can leave a teen with permanently mismatched teeth. The same is true of teeth that have not fully erupted to their true height. Whitening these teeth can result in teeth that are whiter near the surface, but not so white at the gum line. 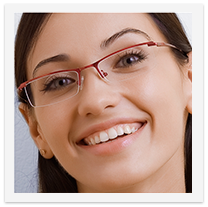 Only your dentist can provide you and your teen with the right information regarding teeth-whitening. If your teenager is interested in whitening, see your dentist to explore with them the best time to undergo this procedure.